Since I came back from Italy, I have been craving gelato. We had some amazing gelati when we were there and even though nothing can quite compare with the original Italian ice cream, home-made ones like today’s recipe come close to it. I love to add a little liquor in my ice cream mixture, as it serves a double purpose. 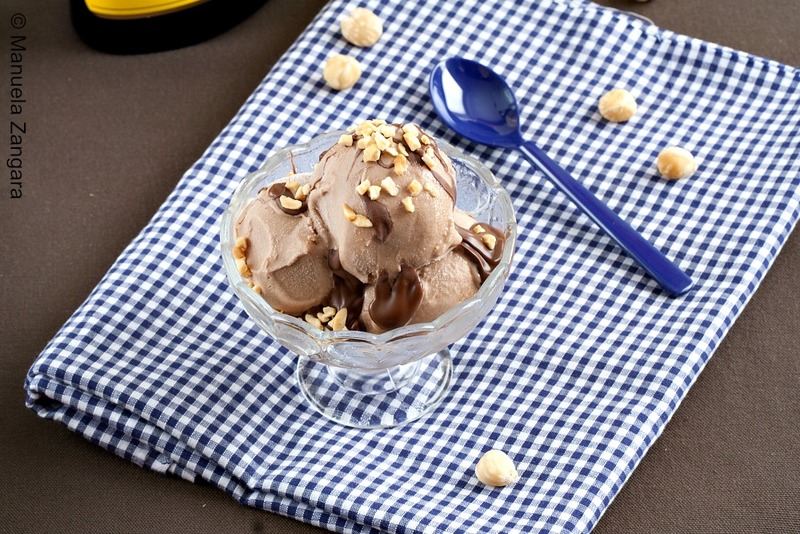 One is obviously flavour, but the other one is maybe even more important: the alcohol in the liqueur helps to keep the ice cream creamy and to limit crystallization. 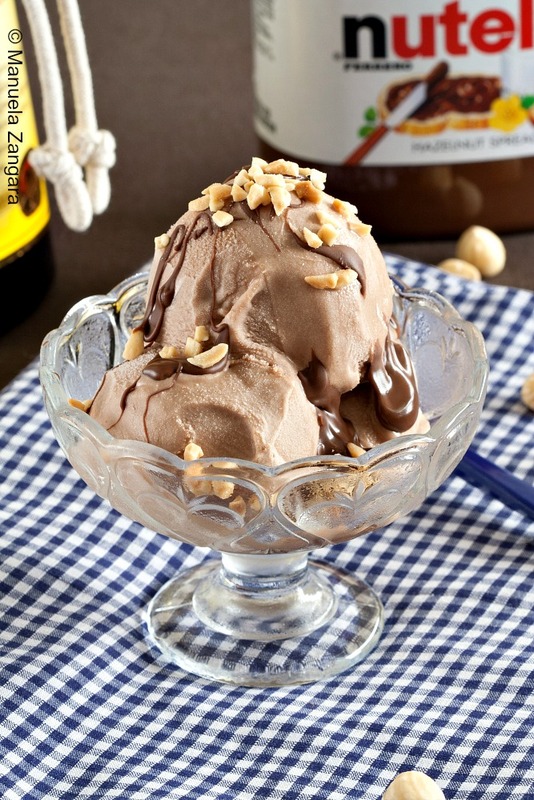 Even though today’s flavour is not a traditional Italian combination, it is still made up of two Italian icons: Nutella and Frangelico… both hazelnut based. 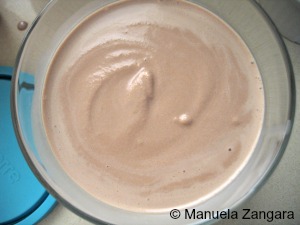 They are amazing together as the liqueur highlights the hazelnut taste of the Nutella. I like to serve this with a drizzle of warm Nutella and some toasted hazelnuts for some crunch. 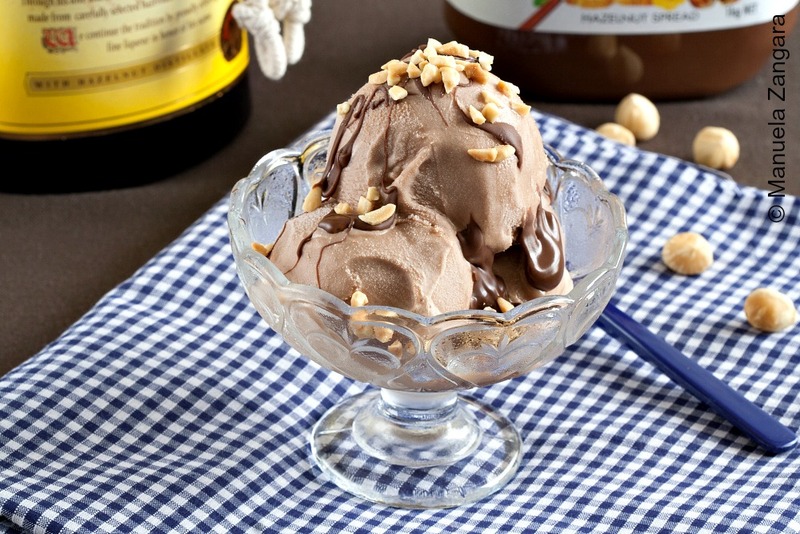 Nutella and Frangelico Gelato with a drizzle of warm Nutella and toasted hazelnuts. Beat the egg and the sugar with an electric mixer until pale and fluffy. Add the Nutella and keep beating. Then add the milk, cream and Frangelico. 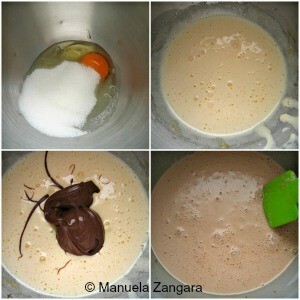 Whisk with the electric mixer until all the ingredients are well combined. If you have an ice cream machine, put the mixture in it and churn for 30 minutes, or according to the manufacturer’s instructions. Transfer to a container with a lid. If you do not have an ice cream maker, you can pour the mixture into a container, put some cling wrap on the top (it has to actually be in contact with the ice cream) to seal it completely and then cover it with a lid. This should prevent crystallization. Then put it in the freezer overnight. Serve the next day with a drizzle of warm Nutella (I usually microwave it for a few seconds) and some toasted crushed hazelnuts. Man, you had me at Nutella! This looks so delicious. Pinned! YUM. 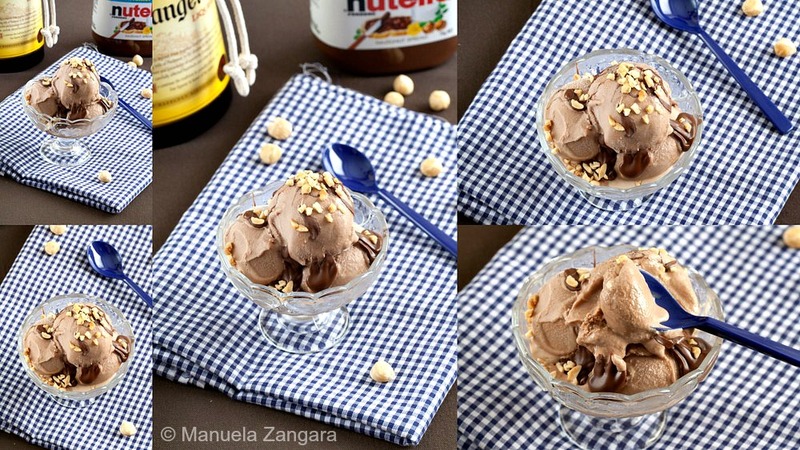 Nutella and frangelico in gelato? I bet this is heavenly!